We knew change was coming. It had to. Etsy did not buy an artificial intelligence company for nothing. To do anything well, we need to be flexible, to be open to change. Selling online is no different. On a vibrant modern selling venue, shifting direction is essential to stay on top of things. What things? Etsy as a business must stay in tune with the trending desires of shoppers. And Etsy must keep up with the constant shifting and upgrades of e-commerce and computer technology. We must face it: Etsy caters to buyers, not sellers. Etsy incorporates the latest technology to satisfy the needs of shoppers, not the sellers' need for stability. So Etsy changes. A lot. They might even (gasp!) test strategies before implementing major changes. 1. If there were no shoppers, there would be no need for sellers. 2. Etsy does not make money if we do not make money. How long have you been selling on Etsy? How many changes here have you personally seen here? I agree that it can seem overwhelming. As I have worked on this post and after I released it, the changes keep coming! If Etsy has stopped working for you, then find another venue. Start your own website. There are other options out there. The rest of us are working hard, trying to stay positive and ride the waves of change! Direct Checkout is now "Etsy Payments"
Can you keep your PayPal sales separate? Yes, standalone PayPal is still permitted. Of course, Etsy recommends integrating your PayPal account. If you already have Direct Checkout, you are automatically enrolled. If you do not accept payments via Direct Checkout, you must get on board by May 17, 2017. If not, your shop will be suspended. The "update settings" button is displayed prominently. 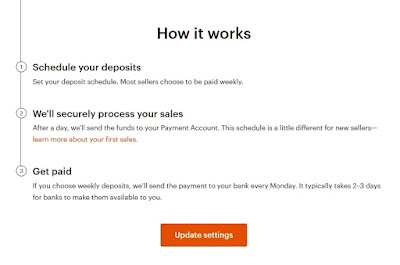 The fee to use the payment service remains the same: 3% + 0.25 USD for each sale (may differ in your country). This is in addition to your Etsy selling fees. Non-USA sellers may have to pay more in conversion fees to move their money between countries. Sellers do not have to participate if EP is not offered in their country. Etsy plans to add more countries, including Turkey. You must have your last name on file with Etsy Payments. Check here to make sure. You must have a bank account to deposit your EP funds. "We cannot process Etsy Payments (debit/credit card, gift card, etc.) funds to your PayPal account." If a buyer uses multi-shop checkout, EP will be used even if the buyer paid with PayPal. If there is an issue with EP, "an Etsy employee will be able to mediate." That is big news from a company with notoriously few customer service agents. Since the WorldPay fiasco, there is this. "Note: In some cases, deposits to sellers’ bank accounts could be temporarily delayed by an issue at Etsy, at Etsy’s third-party service providers, or at a seller’s bank. ... Etsy is not obligated to refund any fees or reimburse any expenses due to holds or delayed deposits." Sellers not based in the US will now be charged conversion fees. This does not happen with Paypal; for some large sellers this could be an issue. 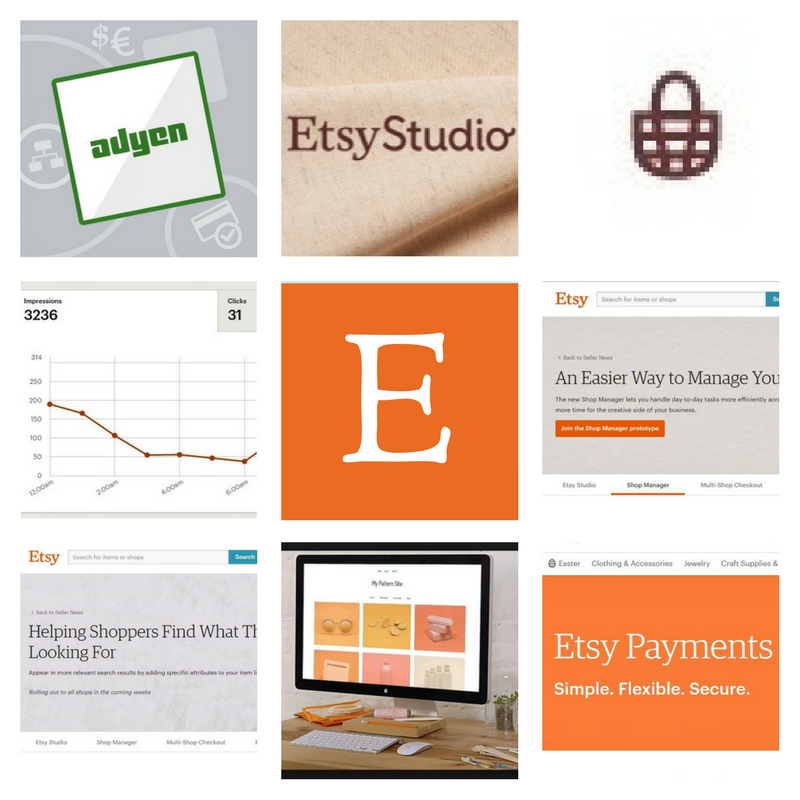 Etsy is still on the move. Sellers need to hang on tight. There has long been a debate about how to best get found in online searches. Focus on (short-tail) head terms or long-tail keywords? This is some basic information on the subject. Little fish in a big pond, or a big fish in a little pond? Here is an interesting blog post. It provides compelling data for the cause of long tail keywords. 14% of Google searches use 1-2 words. 22% of Google searches use 3 words. 23% of Google searches use 4 words. 42% of Google searches use 5 or more words. So about 85% of all Google searches use three or more words (which are known as long-tail keyword searches). That is reason enough to focus on your long-tail keywords. Okay. I see that long-tail keyword searches are popular. So what? As queries get longer, their search volume plummets: “96.54% of all search queries in the US have less than 50 searches per month." The proverbial pond is indeed small. You should aim to be the so-called big fish in this small pond of search results. There are millions of small ponds, or low-volume web searches out there being made. Searches made by shoppers looking to buy your unique item. "…around 40% of all searches [worldwide] are coming from billions of long-tail keywords that have less than 50 searches per month." Are we the big fish in a small pond? Pulling in searchers for one or two small “ponds” of search results is one thing. But there are millions of small ponds of 50 searches. If we can rank as the big fish for many of them, positive results can add up. Aim to be that “big fish” of top search results in many small ponds. Increase your long-tail reach. Refine your long-tail search terms. Use lots of them by writing rich content for your listings. "Own" those small ponds of long-tail search terms. Who has lots of time to invest in refining key word search terms? Vintage sellers often sell a large variety of items. This another time when the advantage can be for sellers who specialize. They can better target their market with search terms. I think this has implications for those participating in search games. Target a variety of long queries that buyers might use. Be the big fish. Own those small search ponds. Use various search phrases to try to increase the reach of your shop or website. 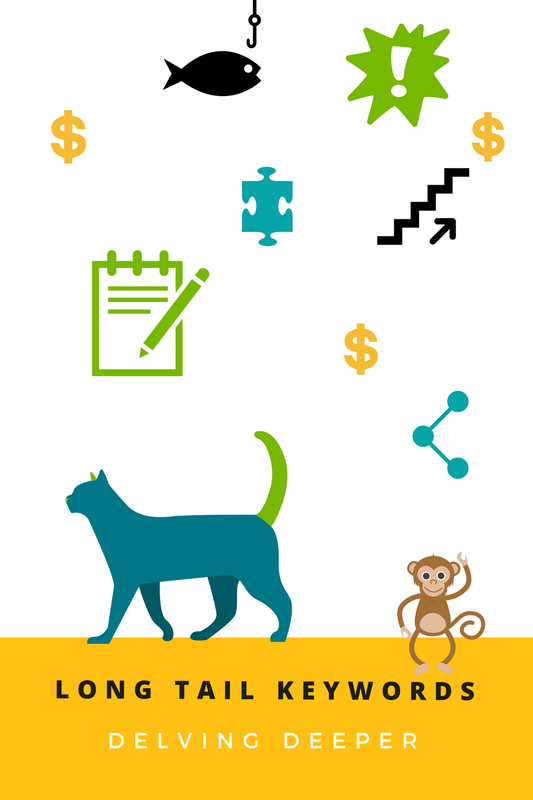 Harness the power of long-tail keywords. Draw in as many searchers as possible to your listings. "Etsy is rearranging my shop for me. What is happening?" 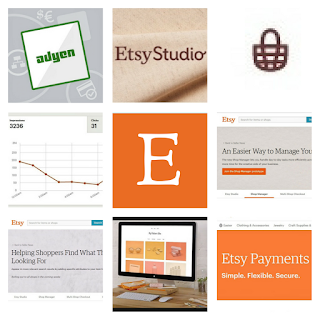 "Etsy is testing yet another thing... Don't they have enough going on?" Yes, Etsy is testing another new feature. Here is Etsy's announcement about it. Like most tests, only some user accounts see it. "As a continuation of a temporary test we began earlier this month, some buyers may see Relevance as the default sort option in some shops without a custom arrangement. We’ll let you know if changes to default sort options become permanent." Etsy has now concluded the test and relevance is a new option for shop arrangements. Shop owners have long had the ability to allow their shop to be arranged by recency. 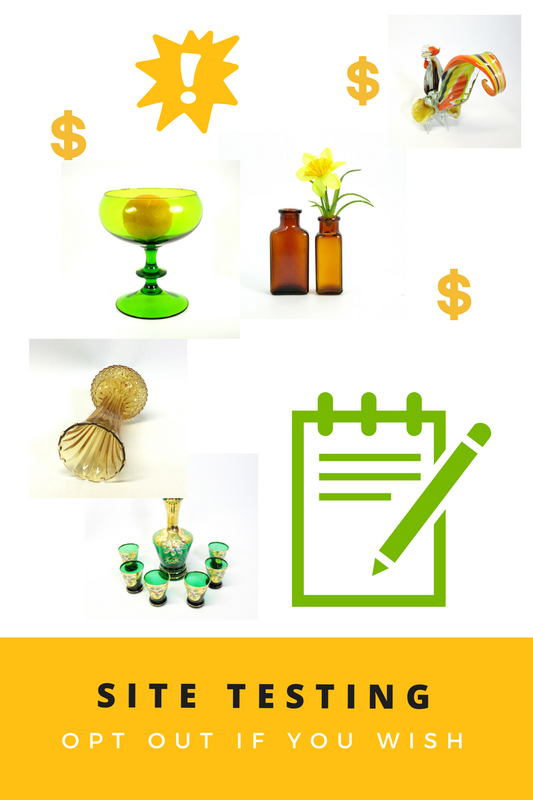 The most recent thing listed or relisted will be the first thing in your shop. 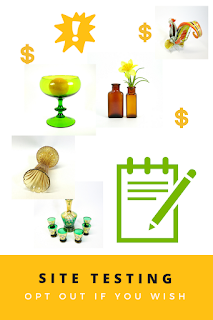 To get out of that, many shop owners use Etsy's newer option of custom rearrangement. I put my prettiest things (newly listed first) at the beginning of my shop. Relisted items stay where they were before I relisted them. Etsy now has an option of your shop displayed sorted by relevancy. For vintage sellers, this option will probably not work well. It is because "best sellers" are at the top of relevancy. Vintage sell so many different items that this approach likely has no..., well, relevance. If you do not like being in a site, you can sometimes opt out. Clear your browser cache. Change web browsers. For details, refer to point #4 of this article. Sometimes, we are just stuck in a test. Right now (April, 2017) some sellers are seeing a different profile page. There is nearly always some testing going on. Testing is a way of life at Etsy. Etsy wants to continue its reputation as the premier place to sell. They work hard to stay ahead of the pack. Testing potential new features is part of that process. All users, including sellers, share in site testing.